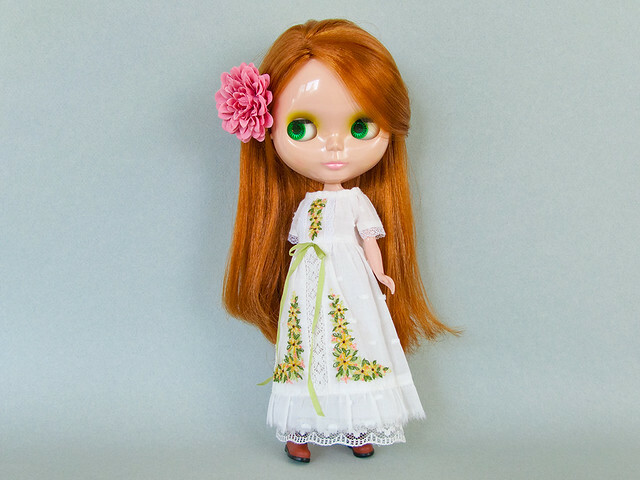 Apple Blossom is my first Blythe ever, she arrived in early 2004 and I absolutely fell in love with her. 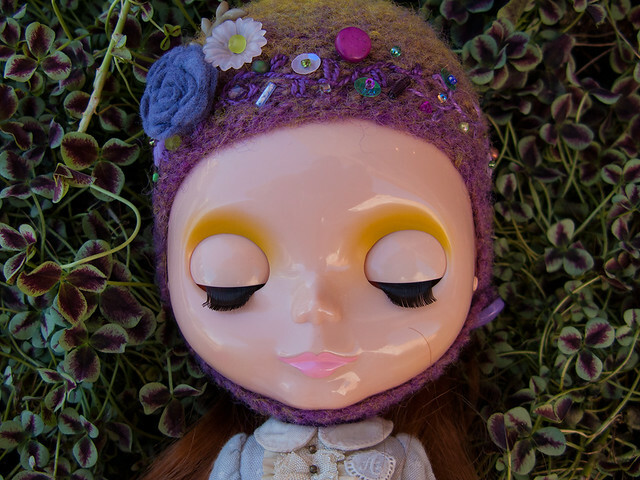 When I was unpacking her I realized that Blythe’s head is really big! 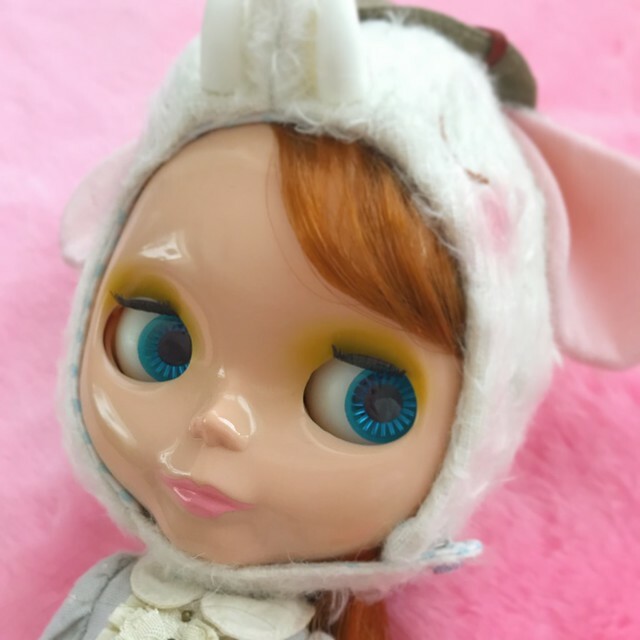 Apple Blossom has also been the guinea pig when it comes to doing surgery as I just had to correct her eye gaze (she is one of the four early superior models that has down glancing eyes) and also lifted her eyelids to give her more alert (and cute) look. She also had body transplant down the time but got back the default body again eventually, as well as an extra pull ring to make her able to have “sleep eyes”. In August 2005 she went out on a worldwide journey that lasted until October 2008 and she had a real blast! We live in Argentina. 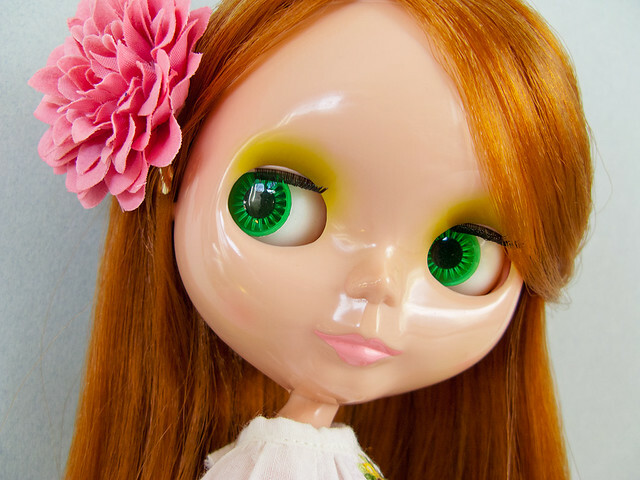 Do we have any way to buy your dolls? We also travel to New York every year; if not in Argentina or internet, is there any place to buy them in USA. Thank you. 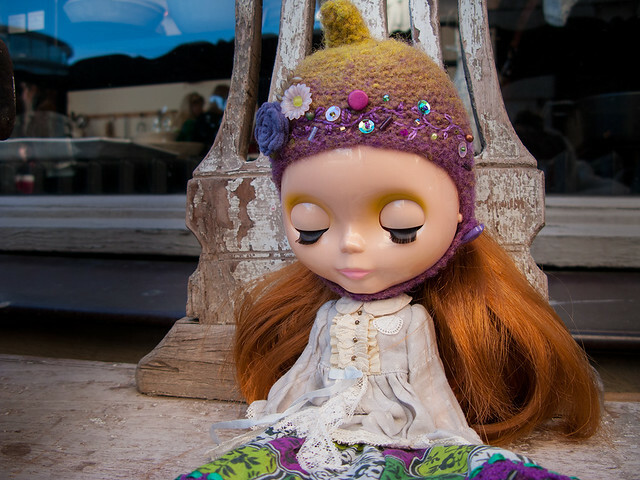 We love all your dolls. They are wonderfull. 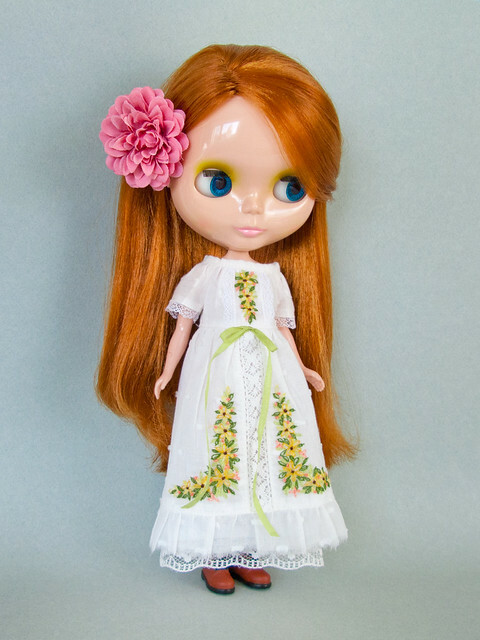 I live in Sweden but I buy all my Blythe dolls online because I haven’t found one locally here in this country. I buy them from different sources.. private used ones, ebay, stores in Japan.. But I recommend store in Japan because there’s bootleg/clone ones now.. The safest way to get one without being cheated is to buy from the source (the designers/producers)!